Loving these MK1 references ^_^ hooray for the first secret character in fighting game history! That's right, folks. Reptile has joined the Mortal Kombat roster, and his portrait is now up at the Fighter Select screen. Also, Jax has been updated, as there was a minor error in his talents file, and his taunt animation is now faster. Only overwrite his talents & powerstyle files. Congratulations Outsider! Reptile has a very loyal set of powers of the MK, as well as being very fun to play with. Thanks for the mod! Earlier, I had asked if you all would rather have the God of Wind, Fujin playable, or the fallen Elder God, Shinnok playable. It appears to be 3-1 in favor of Shinnok. Still, I think I found a way for them both to be playable, but at the cost of another, as there are only 28 spots on the MK roster, and 17 of them are taken (with Baraka being #18). That said... Cyrax or Goro? On the other hand, Goro is a legendary boss character since the very first tournament. Though his moveset is limited and slightly uninteresting, his brute strength makes up for it. He is a prince of his Shokan race, but is the only one from MK1 that is not playable. Should that change...? (NOTE: A skin was done of Goro, but that was so Shang Tsung can morph into him.) Let me know who you'd prefer. Thanks for that. I'm a huge fan of Mortal Kombat, and of fighting games in general. I have to say: Goro all the way!!! Goro is a legendary figure whose status in the MK canon is much more important than Cyrax's (no offense to him; he's cool too). Aside from that, I feel like Goro would be a much more unique addition to MUA. Again, as cool as Cyrax is, MUA already has plenty of robot/cyborg-type characters on it's own, both playable and not, while there's nothing quite like Goro in there. Plus, who can forget the feeling they had the first time they were playing the first Mortal Kombat and saw that four-armed monster?!? He was so fittingly terrifying and awesome!!! Getting to bring that fearsome might to the Masters of Evil would be such a powerful feeling! He's called the "Prince of Pain" for good reason, after all! I always felt, personally, that Goro had some of the most painful fatalities, especially in the last two Mortal Kombat games. As for his moveset, I think it could provide an interesting enough variety. He's been able to shoot fireballs, breathe fire, do spinning attacks, jump with such force it shakes the ground, have a boost that makes his physical attacks cause fire damage, wield four bladed weapons on each arm (similar to a Tarkatan's blades even), have all kinds of great grab/grappler attacks, roar intimidatingly; all pretty cool things, I think. Plus, in some of the games like MK4 and MKX, he's been shown to be alarmingly and deceptively fast, which makes him even scarier and more powerful, I think. That was a very solid argument, I must say. Honestly, all throughout work today, I was thinking about how this is really a no-brainer. As I've said, Goro is historic indeed, since the very first tournament. I have to agree he's the better choice. Plus, there was the worry that if Cyrax was created, people would then ask for Sektor... but there are only but so many spots on the roster, and I see no point in going over the roster limit, as then some would get left out. Hmmp. How could Goro's animations work? I feel that monsters like Goro, Kintaro and Motaro are characters that will need animations that are impossible in MUA. That's why I suggested to put Motaro and Kintaro as Shao Kahn's helpers. When it comes to other kombatans, the ninjas have a little too similar powers to each other (Smoke and Scorpion for Example or Sektor and Smoke); Cyrax is kinda unique in that matter. Goro definitely. He's about as synonymous to MK as Shao Kahn. 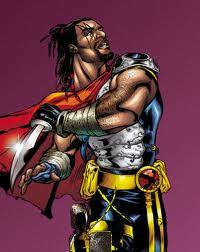 (Plus then we could have my favorite MK character Kintaro as a skin.) Also it would be awesome to see a mod made for a character with 4 arms. As for Smoke, I agree with you. In the past, he was basically a faster clone of Scorpion, and his robot version was too much like Sektor. But in MK9, they gave him some unique moves of his own, and I would replicate those with his mod. Just to let you know, the mod progress of Baraka is doing well, though I'm having some problems trying to replicate his Shredder move (the one where he repeatedly slices the enemy from a kneeling position). To my knowledge, there are no animations like that, but I'll keep trying. He may be done soon. Also it would be awesome to see a mod made for a character with 4 arms.